Deer Defeat - Safe Deer Repelnt, heres how it works. AND THE PEOPLE BEHIND IT. 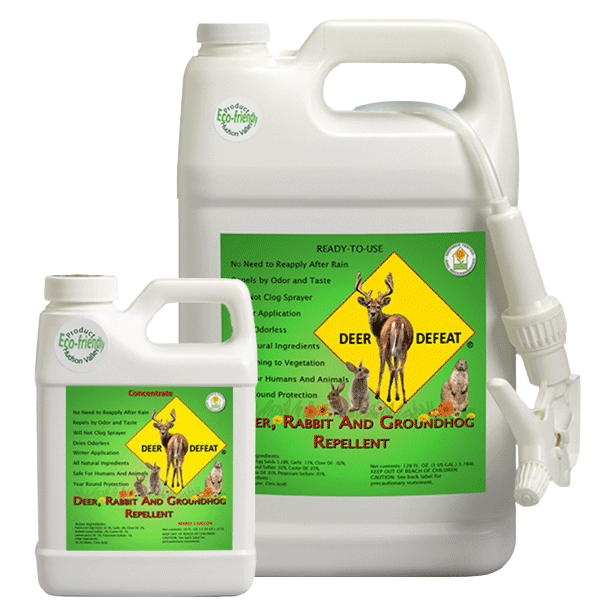 Deer Defeat was created after years of frustration from using other repellents that over-promised and under-delivered. Through 5 years of trial and error, we have developed an eco-friendly product that is reliable, long-lasting and effective in all seasons. It creates a continuous, invisible shield to protect your plants throughout the growing season, as well as in the cold, snowy winter months. All natural, environmentally safe Deer Defeat effectively deters deer, rabbits, groundhogs and other browsing animals, while actively nourishing your vegetation. No need to reapply after rain. Will not wash off. Dries odorless in minutes and will remain odorless in damp or rainy weather. Creates no residue on the leaves, totally invisible. Eco-friendly, all natural ingredients nourish plants and is safe for humans, animals and the environment. Has a long shelf-life in both Ready to Use and Concentrate form. Will not thicken or degrade in quality. Deer Defeat will never clog the sprayer. 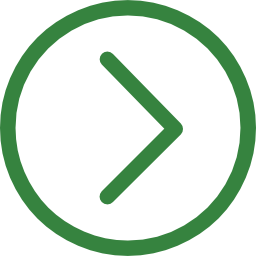 Unused product may be continuously left in the sprayer for convenience and ease-of-use. Is extremely effective in winter and can be applied in sub-freezing temperatures. Helps protect the plant from harsh and cold winds. No need to burlap. Does not have to be rotated with other products. It works best alone. Cost savings: Spray just until droplets are visible on top of the leaf. No need to saturate or spray the underside of leaves and around the plants, reducing labor and material costs. By soaking bulbs in Deer Defeat before planting, protects from various critters and boosts growth. National Home Gardening Club Member Tested and Recommended. The Deer Defeat Story begins with Nevia and Aldo Dusman in the Hudson Valley region of New York state. Like many of our customers, they lived in an area with a large deer population. This posed a problem for Nevia and Aldo, as their flowers and vegetables were continually devastated by the hungry deer. They tried every product on the market, but found nothing that consistently worked. Being an inventive and hard-working couple, they decided to create a repellent that would allow them to grow flowers and vegetables again. For five years, they persistently tried out various formulas. Finally, they created one that worked great, season after season! When neighbors and friends saw their beautiful flowers and started requesting some of their repellent, they realized they had a product that could help others. In 2009, Deer Defeat hit the market. Over the years, Nevia and Aldo worked to grow the company, selling online, at flower shows and getting Deer Defeat onto store shelves. In 2017, Nevia and Aldo decided that they were ready to slow down a bit and enjoy more free time. They sought partners who could help lessen their workload, while continuing to grow the Deer Defeat brand. 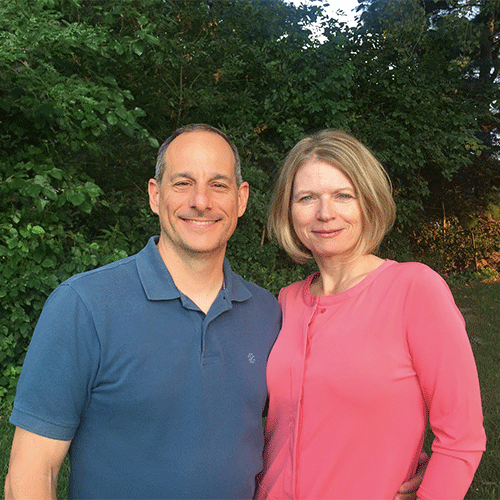 Late in 2017, Paul and Connie Randazzo joined the Deer Defeat team. 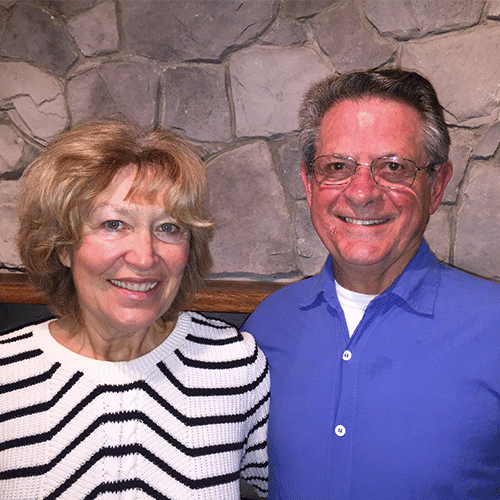 Paul and Connie live in Elkhorn, Nebraska, another area with plenty of destructive deer, rabbits, and groundhogs. They are excited to be a part of a product that has such a supportive customer base and strong record of success. Their mission is to continue to spread the positive message about the effectiveness of Deer Defeat and grow the company across the United States!